The Awards Committee shall oversee the granting of awards established by the Association as selected by various Association committees/juries. The Awards Committee shall publicize award opportunities and coordinate the presentation of awards to recipients for the awards established by the Association. 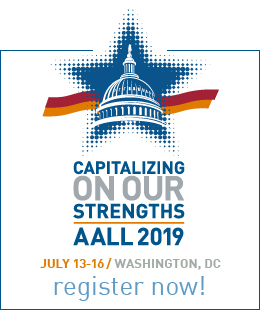 AALL committees/juries will select one or more recipients every year for each award, or no recipient if none of the nominees are deemed sufficiently qualified. Committee work is divided among subcommittees. The time commitment is intense for two months (January-March) while evaluating award nominees and lighter during the rest of the year. Your subcommittee assignment (and whether you chair the subcommittee) and the number of award nominees received determines the time commitment. New members work on less busy subcommittees. Note: Time commitments are estimates from past assignments and can change with new projects or requests for assistance from the Executive Board. 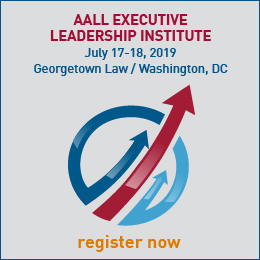 The committee should be composed of experienced law librarians who are familiar with the members and wide range of activities of the AALL. Membership on the committee shall normally be for two years, except that the vice chair and chair will each serve three years. The returning member selected as vice chair at the end of the first year will serve in that capacity in the second year and become the chair of the committee for an additional third year. The committee shall normally consist of a chair, vice chair, five members, and a non-voting Executive Board and staff liaison. The Awards Committee coordinates awards selected by AALL Juries.